One person was killed and 44 were injured early Sunday when their long-distance bus swerved and hit a wall on a motorway near Zurich, police said. 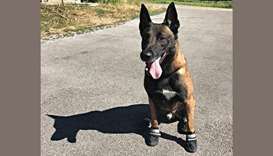 Police dogs in Zurich are currently wearing shoes to keep their paws from getting burnt on the scorching asphalt, the Swiss city's law enforcement department said Tuesday. 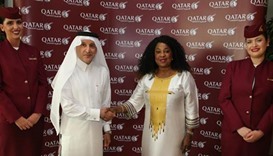 Qatar Airways has been announced as the Official Partner and Official Airline of FIFA as part of a sponsorship package lasting until 2022. 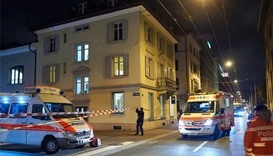 Swiss police said on Tuesday they had halted a search for a shooter who injured three men in a Muslim prayer hall in Zurich, after identifying a body near the scene. 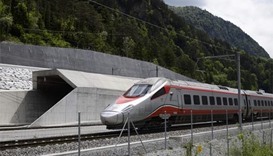 Regular rail service through the world's longest tunnel began on Sunday, carrying passengers deep under the Swiss Alps from Zurich to Lugano. 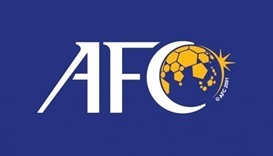 The Asian Football Confederation (AFC) has cancelled February's extraordinary congress in Kuala Lumpur to elect three additional members on the new FIFA Council, the continent's governing body said on Wednesday. FIFA president Gianni Infantino has put forward a new 48-team format for the 2026 World Cup in a speech in Colombia on Monday. 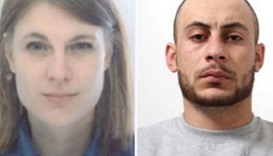 A fugitive inmate and the female guard who helped him escape from a Swiss prison were arrested in northern Italy, police said. 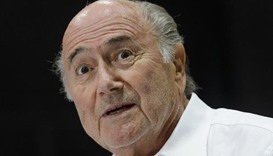 Sepp Blatter turned 80 on Thursday, with a party planned at a luxury hotel in Zurich, as Switzerland's criminal investigation into his FIFA presidency looked set to intensify. 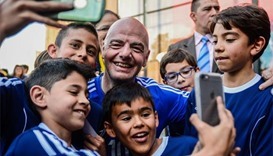 Europe's Gianni Infantino and Asian football leader Sheikh Salman bin Ebrahim al Khalifa led the five man battle for votes ahead of crisis-stricken FIFA's landmark vote on Friday for a new president. 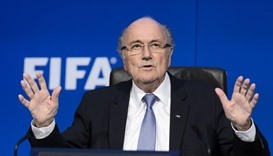 FIFA's disgraced president Sepp Blatter returned to the headquarters of world football's governing on body to face an appeals committee he hopes will overturn his eight-year ban from the sport. 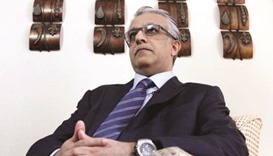 FIFA presidential candidate Sheikh Salman bin Ebrahim al-Khalifa plans to keep the world soccer body’s headquarters in Zurich and retain the name “FIFA” if he wins the race for the game’s top job later this month.